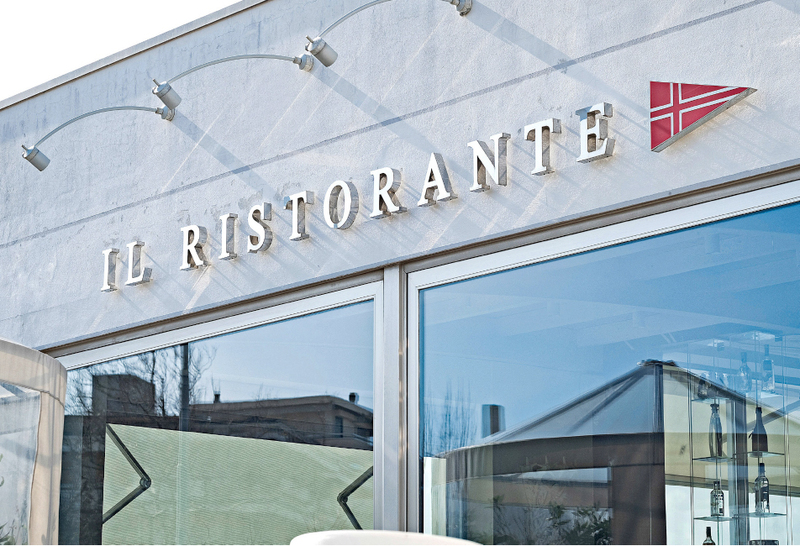 Bright ambience, huge panoramic windows and terraces overlooking the sea and the lighthouse: this is the style of Club Nautico Restaurant, one of the most famous venues in Rimini since 1984. 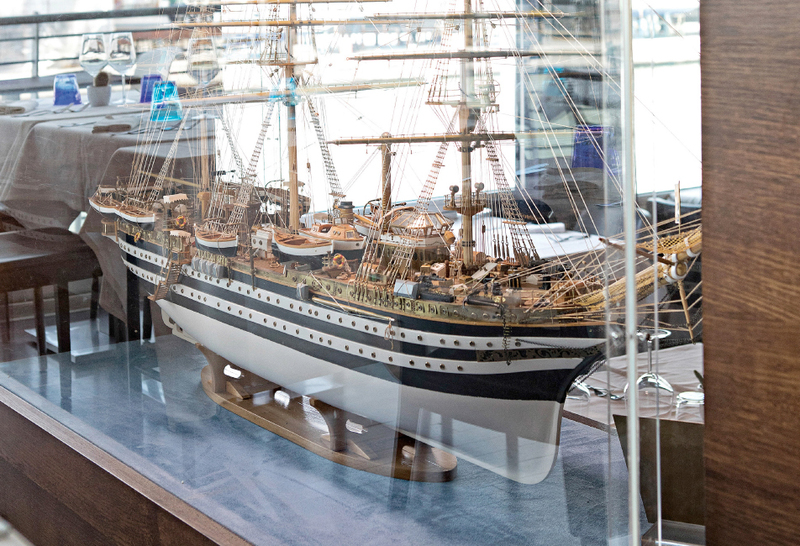 Inside your attention will be drawn to items recalling the maritime style, yet restyled in a modern and elegant aesthetics, just like the miniature reproduction of the Amerigo Vespucci sailing ship in a glass display case or the nautical charts depicted on the walls. This charming and suggestive atmosphere will take you to a voyage towards far-off destinations. 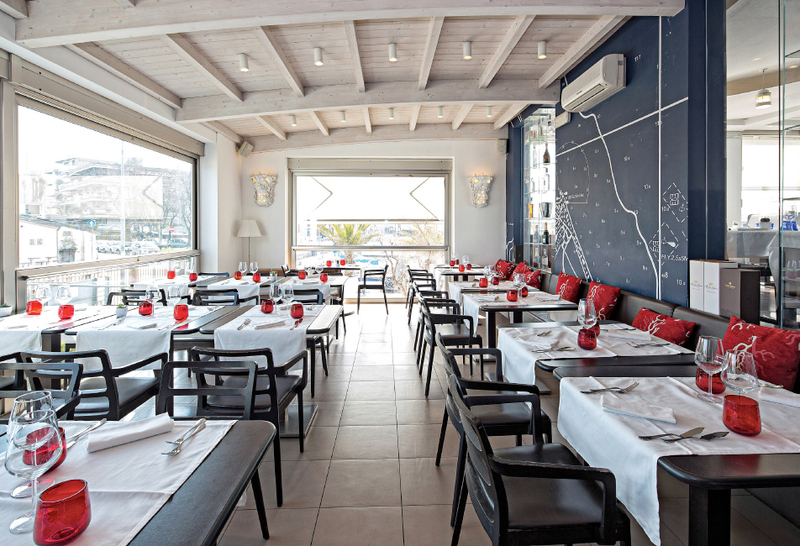 Club Nautico Restaurant features a small and cosy room dedicated to celebrations and many other events. This room can be booked for groups and it is ideal for those customers seeking quiet and privacy. 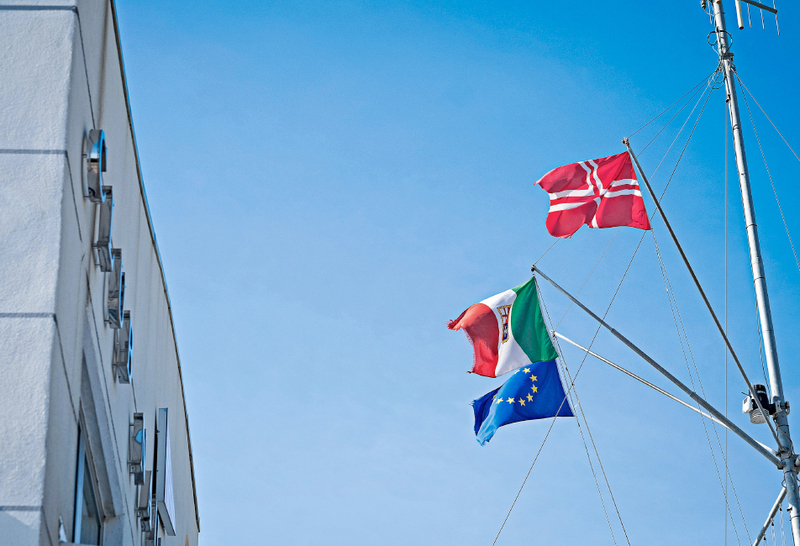 romantic view of the lighthouse of Rimini are the icing on the cake. 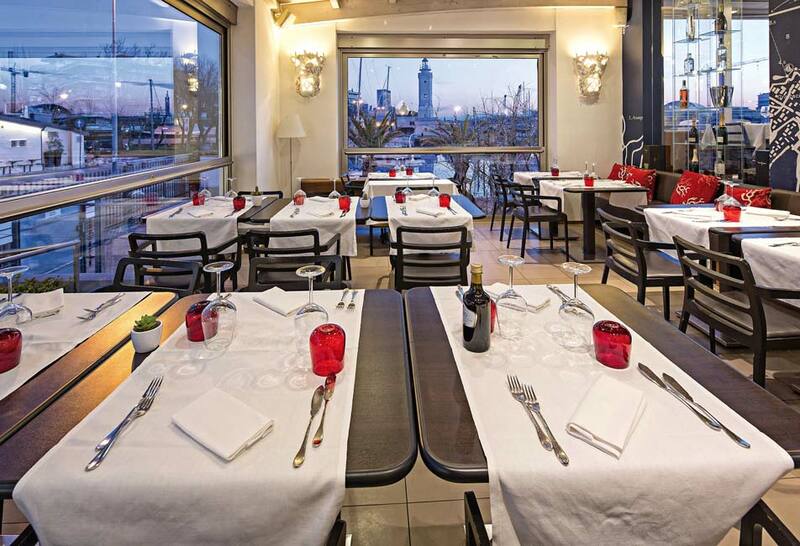 Club Nautico Restaurant has designated a private and comfortable room for those customers craving for privacy. This broad terrace is suitable for receptions, happy hours, parties and exclusive meetings, in which wonderful sunsets and the breath-taking panoramic view are the real protagonists. 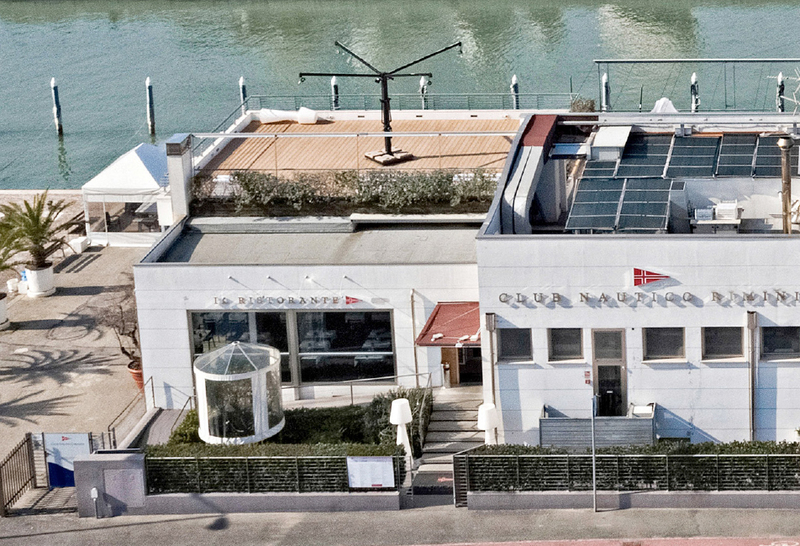 The terrace is reserved primarily to the Partners of Rimini’s Club Nautico, however, upon request, it can be turned into a private area and a stunning space for organising fabulous events and dinners.